Northern Colorado is the area in the most densely populated northern region of the state of Colorado. This area includes, but is not limited to, the cities of Fort Collins, Greeley, and Loveland. These three cities are in a sub region of northern Colorado known as the Tri-City region. The Tri City region is given its name because the three cities that make it up have the largest amount of development within northern Colorado. Overall, the area boasts a population of over 500,000 residents giving potential home owners a very wide selection of different styles and personalities of neighborhoods and living areas. With such a commanding population (the second largest workforce in Colorado behind the Denver region), northern Colorado has several economic advantages compared to other regions. The area is known for employers such as AMD, Hewlett-Packard, JBS Swift, Water Pik, Limagrain, and Wolf Robotics. The region prides itself on nationally recognized schools’ Colorado State University located in Fort Collins and The University of Northern Colorado located in Greeley. Both schools are home to thousands of students who can take advantage of once in a lifetime chances at internships with the globally recognized corporations that are home to the northern Colorado area. Geographically, Northern Colorado gives its residents a wide range of opportunities for both business and pleasure. Denver, home to Denver International Airport, is an easy one hour drive down one highway, I-25. The area is in driving distance of many parks and boasts many trails and hiking areas that you cannot find anywhere else in the United States. If staying active in areas such as business, pleasure, and family life, Northern Colorado cannot be beat! 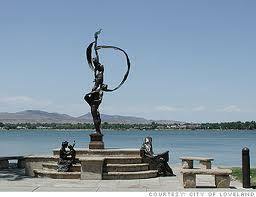 Fort Collins is a beautiful city that has a population of about 144,000 residents. The median income of the city is $72, 248 and almost half of the residents have 4 or more years of college. If staying fit and saving money is on your mind, Fort Collins offers about 200 miles of bike routes located throughout the city. The downtown area of Fort Collins gives a wide range of restaurants, history, and night life. The downtown area was so impressive aesthetically that Harper Goff, a designer at Disney, modeled Disneyland’s Main Street USA from Fort Collins. 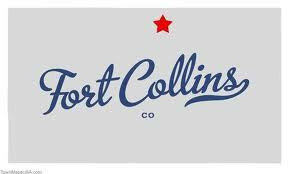 Fort Collins has also won countless awards such as #1 Place to Live in the USA (Money Magazine – 2006), 4th best place for business and careers (Forbes – April 2010), and one of the top 10 best college towns (USA Today – September 2010). Loveland, also known as the “Sweetheart City” based off its name, is your opportunity to get a wide variety of outdoor activities and move into a growing community. Loveland has three golf courses, multiple fishing locations, beautiful hiking areas, and breathtaking camping locations. Loveland also offers many unique public art collections totaling to 200 different pieces of art. The city has won awards such as the number one city to revitalize your life (AARP Magazine), one of the top 100 best small art towns, and one of the top 8 great art destinations in the USA (U.S. Art Magazine). 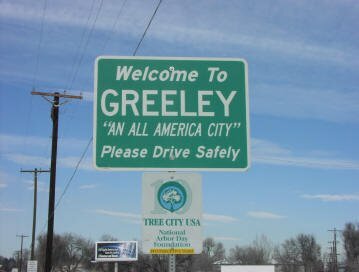 Greeley offers its residents a wide variety of home choices for a wide range of prices. The city gives its residents choices such as large mansions, country homes, average sized homes, and everything in between. Greeley offers exceptional value to its residents because the cost of housing is about 5% less than that of the national average. (Money Magazine) Along with the phenomenal options for the homes, Greeley also offers condos, apartments, town homes and even newly built Victorian style houses. For a rapidly exapnding small town close to the action, you may want to check out Windsor. Located at the heart of the Central Northern Colorado area, Windsor will be a great place to not only buy a new home, but watch your family grow as the city expands. The locals are friendly and rich with spirit like all Northern Colorado communities, so come and visit and give me a call if you want to learn more!